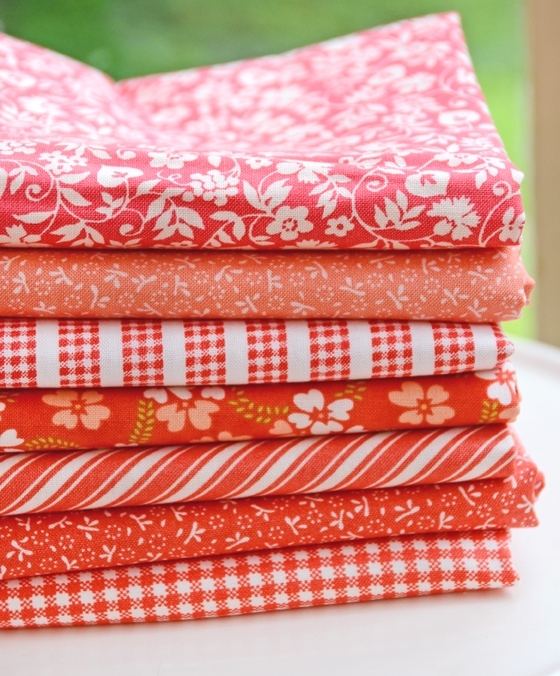 Scrappy Coral Bundle- only 1 left! These corals and faded reds are just the perfect addition to any project. Build your stash with these awesome prints or work them into a late summer project! 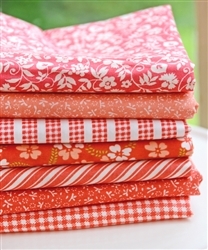 Bundle includes a wonderful variety of coral and faded red fabrics from Coney Island, Ella & Ollie as well as other designers. Bundle includes (7) 1/2 yd. cuts of MODA yummy prints. SPECIAL SALE PRICE!